Ignorant politicians such as Hassan Ayariga shouldn’t even be elected dog-catcher in Ghana. 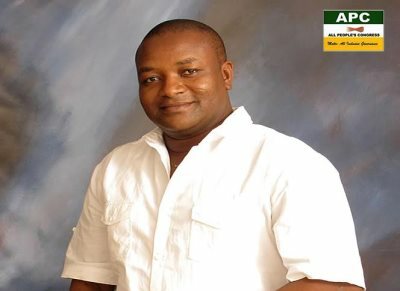 AFRICANGLOBE – Making love to a woman during her menstrual period produces children with albinism (albinos), flagbearer for Ghana’s All People’s Congress (APC) Mr. Hassan Ayariga has said. Mr. Ayariga’s claim about how Persons Living with Albinism are born comes a week after the Executive Director of the Ghana Association of Persons with Albinism, Newton Komla Katseku, told Onua 95.1FM in an interview that they feared politicians would kill them for fortunes. Mr. Katseku said persons with albinism needed to be protected by the government from such atrocities. Across Africa (from Malawi, Tanzania, and Burundi in the east, to Cameroon in the west) albinos are targeted for ritual murder. It is believed they have magical powers or bring good luck. In Ghana, just as in many African countries, albinos are discriminated against in society in various ways. The many myths surrounding their existence make people shun them and treat them with disdain. They are denied marriage, love, access to accommodation for rental, access to education, among a raft of other things. They are mocked at and made to feel like the scum of the earth. In June last year, for example, the Chronicle newspaper reported that traditional authorities in a village called Atebubu in the Atebubu/Amantin District of Brong-Ahafo Region, allegedly denied a 17-year-old first-year albino student, Yussif Fatau, of Atebubu Senior High School, residential access. The traditional leaders said it was a taboo for an albino to live in that village and, so, ordered the student’s landlord to evict him. It is also deemed taboo to enthrone an albino as a chief in some cultures in Ghana. They are also banished entirely from certain parts of the country. Condemning the targeting and killing of albinos, Dr. Ayariga wondered: “Why would someone sacrifice another person in order to win power? For me, I don’t believe in those acts… if you begin to sacrifice human beings, a time will come that we’ll sacrifice our own parents because if you think an albino’s life is better, what about the one who gave birth to you? So, I think that this act should stop immediately”.